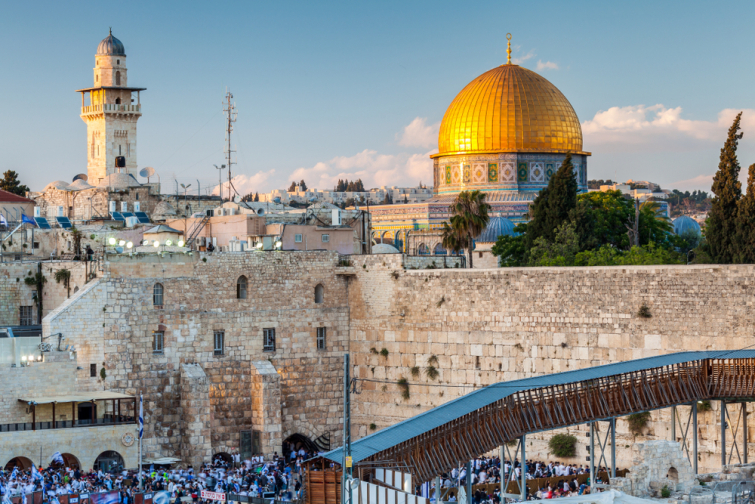 Romania and Honduras recently announced they will be moving their embassies to Jerusalem, according to CBN. The announcement was made Sunday at the AIPAC Policy Conference in Washington, D.C., by Romanian Prime Minister Viorica Dăncilă, according to The Times of Israel. "I, as prime minister of Romania, and the government that I run will move our embassy to Jerusalem, the capital of the State of Israel"
"As we all know, President Donald Trump opened the Embassy of the United States in Jerusalem. This admirable and brave step impressed me, my government and the Romanian people," Dăncilă told the conference. During the conference, Honduras also made the announcement they're moving its embassy from Tel Aviv to Jerusalem. Hamodia reports Honduras President Juan Orlando Hernandez said Honduras would "immediately transfer our official diplomatic mission and this will extend our embassy to the capital of Israel, Jerusalem." Israel's Prime Minister Benjamin Netanyahu thanked both Dăncilă and Hernandez on Twitter. "I thank my friend, the President of Honduras, Juan Hernandez, for his announcement regarding the immediate opening of a diplomatic mission in Jerusalem that will deal with trade, as a first step towards transferring the embassy of Honduras to Jerusalem." "I congratulate my friend, the Prime Minister of Romania, Viorica Dăncilă, on her announcement at AIPAC that she would act to complete the procedures needed to open the Romanian embassy in Jerusalem."